Our casting project began with a cooperation case, in 1927, United states's lamp factory and a modern France corporation that gave us support , developing. 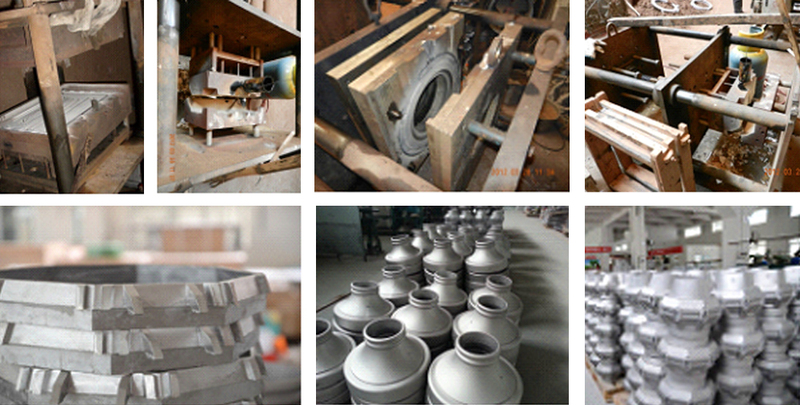 In 2005, T4 lighting company received a first mold development task, since that there are hundreds of sets of molds and products, we use a number of different processes and experiments to achieve the engineer's design requirements. Together with our customers engineers,designers to improve product structural design, product optimization work, some products need have pretty crush resistance, good physical strength, some products have a very unique exquisite appearance design, some products require different precision, some products require a good heat dissipation, and another project need to hand over tha samples within three weeks, many different requirments, with the T4 Lighitng team cooperation and careful study, and well done. Today we have become the most important customer supplier partner in China . 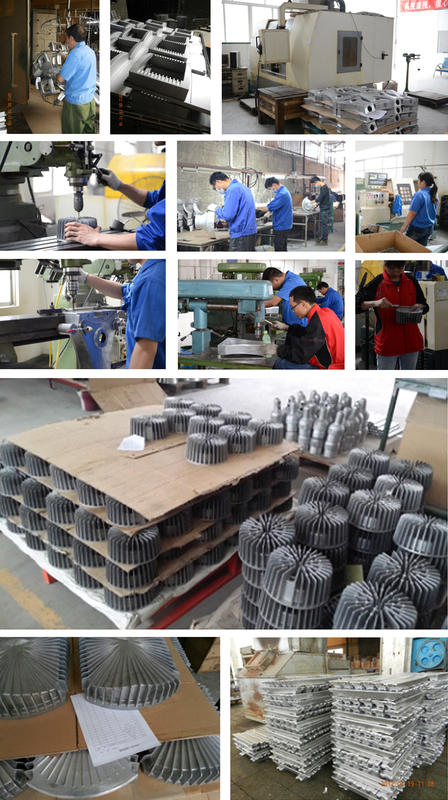 US engineer's development and innovation, French customer's rigorous give our team a lot of growing. Today let us have very rich experience in manufacturing and management methods. Here I would like to deeply thank them. P.M metal casting, in MR TANG, a 30-year mold technician, in his youth was a casting plant mechanic , at nearly 20 years of continuous practice and innovation , he developed a very unique design of metal casting technology, better than sand casting, lines have a better look more fresh and accurate , can be close to 90% of the effect of die casting , sand casting can fit completely beyond casting, complete complex structure, fine lines and the appearance of complex castings . Such as : 815N . we can reach up to the opening and closing eight direction 8, the wall thickness of 4 mm can be done , it can go to 20 kg weight , product size can be to 800mm.Just one-third of the cost of mold -casting mold , Very suitable for high request on the adoption of the project. Die Casting DIE CASTING, we can now use level 1300T large die-casting machine , can fully meet production of the street lamp body 400W HOUSONG , product size can reach 1000mm. 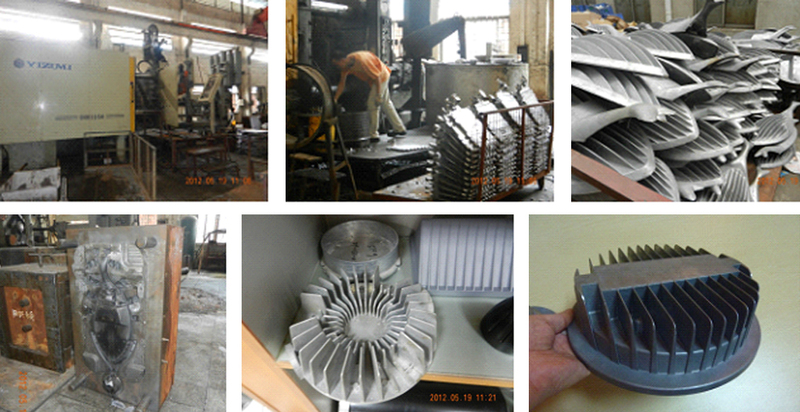 (40 ") We usually use A360 A380 and ADC12 as a raw material . Machining MACHINING In terms of post-process we use CNC machining centers, CNC , milling , surface grinding and polishing machine , hand grinder , shot blasting and sandblasting machines and ultrasonic cleaning. To protect the product clean and free of oil , POWDER COATING We also offer outdoor powder service according to the US company DuPont and Tiger Head powder as a standard. Up to 5 -year warranty requirements.